The iPhone 7 will premier this fall and the iPhone 7 cases are already out. The launch of the 7 is one of the biggest launches of an iPhone model that we’ve seen because Apple is falling upon slightly difficult times. 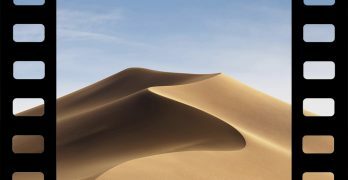 While some of their other products have plateaued, the iPhone sales have remained steady and it’s safe to say that the iPhone is carrying their company. Most of the rumors floating around the web are slating the release date for mid to late September, following in the footsteps of the 6s, which came out on September 25th in 2015. One big thing that I’d like to mention is that a lot of these cases don’t have a hole for a headphone jack so we have to figure that the iPhone that’s designed entirely for wireless headphones is almost here. If you’re already geared up for the new model and your bank account is ready, here are a few cases that you should consider. X-Doria has an iPhone 7 case that’s a little different from the cases we’re used to. It’s slim but is surrounded by a tough metal exterior that’s designed to be extremely drop-proof. The Spigen case is small and sleek, like we’re used to from our iPhone cases. They claim that it’s certified military-grade drop-tested. Whatever that means. But what I love about this case is the flap that comes out and allows you to stand your phone up so you can watch movies or type on a wireless keyboard. I had a feature like this for my first iPad and I loved it. 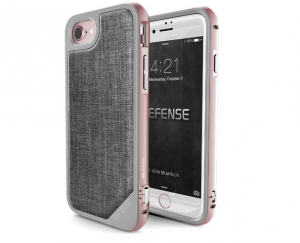 MobileFun has released a full line of iPhone 7 cases, some of them with “military designs”. My favorite on their site is the canvas diary case for the iPhone 7. It’s sort of a travel case but it’s slim and snaps together. I’m definitely a fan of the style with this one since it’s got a lot more class than I’m used to with a phone case. The Silcoo case is one of my favorites because it’s frankly just beautiful. It’s also supposed to be built from environmentally friendly materials which is something that we can all get behind. Unlike most of the other cases on this list, it isn’t going to be great at protecting your iPhone 7 from drops down the stairs or in the toilet. 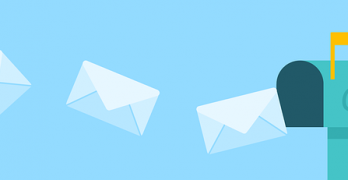 So you might not want to consider this case if you’re especially accident-prone. 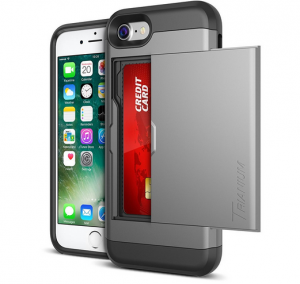 The Trainium case for the iPhone 7 has a design that feels completely new. The case has a compartment for storing your cards. 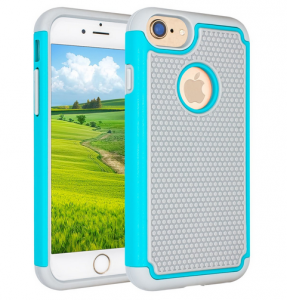 The case is cushioned on the inside, which is supposed to protect your phone from drops and day to day wear. It’s raised so your phone won’t ever touch the ground. 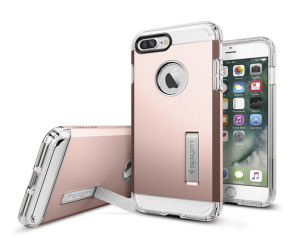 The Anli case is another that’s supposed to protect your iPhone from everything short of a dive to the Mariana Trench or a Zombie apocalypse. It looks drop-proof and they claim that it’s very shock absorbent. 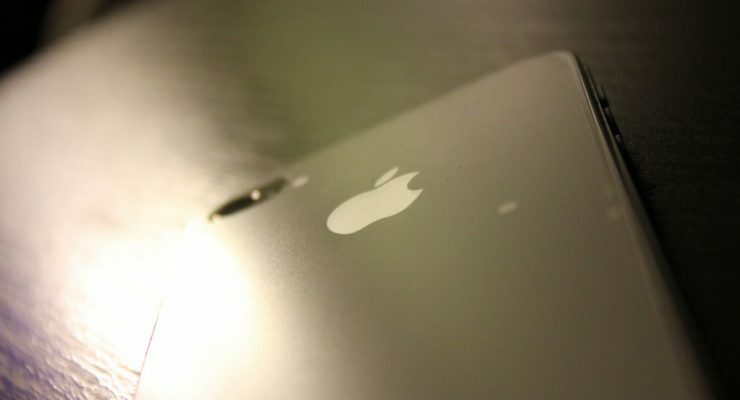 It also has that nifty little cut out that allows your Apple emblem to remain visible in case you’re a Mac junkie. We still haven’t heard anything from the big names in cases. Lifeproof, OtterBox and Moogi still haven’t unveiled a line of iPhone 7 cases. Maybe that means that they know something that the other companies don’t or maybe it means the opposite. 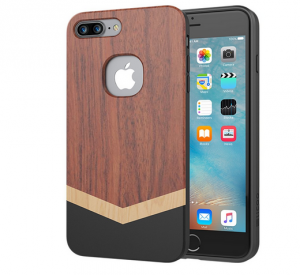 But if you’re already ready to get in line for the iPhone 7, there’s no point in waiting to buy a case, head over to iPhone and pick one of these up. 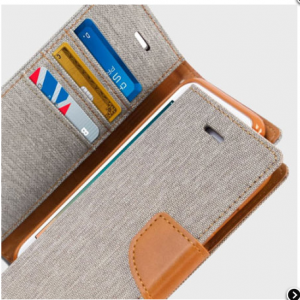 Another worth considering if you like to combine your wallet and iPhone case is the Intrepid Travel Wallet from WaterField Designs (San Francisco). If you’re worried about losing the Lightning adapter dongle, check out the Intrepid iPhone Travel Wallet that comes with a Micro Pouch perfect for storing that and the EarPods (or eventually AirPods). Also – play-through capability and RFID-blocking + space for travel necessities. Well I’ve gotta admit, that wooden one is pretty cool! Still not getting an iPhone 7 though, haha. My 6 will do me just fine for at least another year. Same here. I might even wait for the next one.